The article was written by eight authors from the Norwegian University of Science and Technology, St. Olav’s Hospital, the University of Oslo, and the University of Sydney. None of the authors had expected the article to become a bestseller, but it is in the process of becoming just that. Half a year after the article was published online, it had been viewed nearly 16,000 times, and 1,100 people had downloaded it for use on their computers. The article got more attention on the web than did any other article published in the journal at the same time, and it was among the top one percentile of all scientific papers ever tracked. A quick google search on “nondirective meditation” quickly confirms that the content has aroused greater interest than its cryptic title would suggest. The World Wide Web is full of references to the article. News channels such as Fox News, the Daily Mail, CTV News, Aftenposten in Norway, the Delhi Daily News in India, Yahoo News in Singapore, China Daily in Taiwan and many other news media carry the good news. The same is true of popular scientific publications and websites: Psychology Today, Science Daily, WorldHealth.net and Clinical Research Society. Subsequent to the scientific article, some people have even set up a website where you can share news about nondirective meditation. The concept has evoked interest, and the message seems to have hit home. In the scientific context, success is measured by how often an article is cited by other scientific articles. It is too early to assess whether or not the article we are discussing here will be a success based on such criteria. But in readership and popular impact, it has enjoyed great success since it was available online in February. What is the article about? Let’s use the title as our starting point. For those of us who are not familiar with the brain’s anatomy, “default mode network” may be the most difficult notion in the title, but nevertheless of great interest. The default mode network is the part of the cortex that is active when we are at rest. The scientist Marcus Raichle discovered that this part of the brain has low activity during demanding tasks and high activity when we relax. The activity in this part of the cortex is associated with mind wandering, i. e. thoughts, images and emotions that pass through the mind, especially when we relax. This brings us to the term “nondirective meditation”. According to the article, this refers to meditation techniques practiced with a relaxed focus of attention that permits spontaneously occurring thoughts, images, sensations, memories and emotions to emerge and pass freely, without any expectation that mind wandering should abate. The study examined the effect of Acem Meditation. Like a number of other methods – Relaxation Response, TM, and Clinically Standardized Meditation – Acem Meditation involves the effortless mental repetition of a meditation sound, while the mind’s spontaneous activities come and go freely. These methods differ from concentrative techniques, where the goal is to keep a clear and pure focus and thus reduce mind wandering. One of the goals of the study was to examine the impact nondirective meditation has on the default mode network. Mentally repeat the meditation sound with concentration, trying to avoid being absorbed by spontaneous thoughts (concentrative meditation). It turned out that the repetition of the meditation sound, both in a nondirective way and with concentration, increased the activity of the default mode network more than did ordinary rest. This suggests that there was more mind wandering, and that the subjects obtained deeper relaxation. This is interesting for our understanding of this part of the cortex. The so-called default mode turns out not to be simply the mode the brain reverts to when nothing else happens, as the term might indicate. Both nondirective and concentrative meditation are more active than is ordinary, passive rest, but they still have a much greater impact on the default mode network. The results are also interesting for our understanding of meditation. While it is widely believed that meditation reduces mind wandering, this study indicates the opposite. Both nondirective and concentrative repetition of the meditation sound appeared to increase mind wandering. Furthermore, it appears that nondirective meditation has a greater impact than does concentration. This is what makes news media and science websites proclaim that nondirective meditation is “most effective”. The difference between nondirective and concentrative meditation was greatest in areas of the brain associated with episodic and emotional memories. 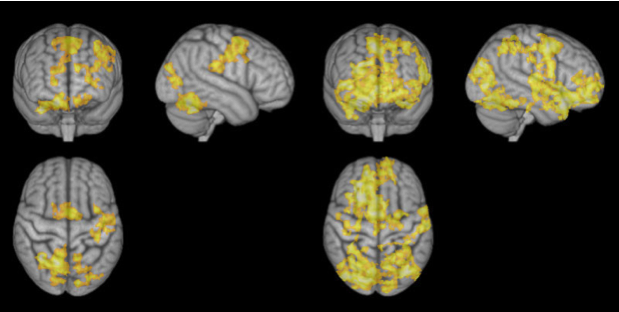 This includes parts of the cortex linked to mind wandering. It also involves other parts of the brain, particularly the hippocampus, which stores episodic memories from our life, and the amygdala, which is important for emotional memories related to stress. It has been suggested that the simultaneous activation of all three areas stimulates the processing of stressful emotional memories. The results indicate that nondirective meditation gives more room for the processing of emotions and memories than does concentrative meditation. This may be the underlying mechanism behind the stress reduction obtained through nondirective meditation. Thank you for this very clear explanation of the current research into Acem meditation and brain function. As a hypnotherapist and Acem meditator, I am interested in the connection between the two in relationship to the DMN. Some research claims that the DMN is less active in the hypnotic state but my own experience of trance and meditation on a subjective level indicates that some aspects of Relaxation within an Acem mediation bears similarity to some aspects of trance. Daniel, thank you for your very interesting comment. My (limited) understanding of this is: The goal-orientation of hypnosis places it more closely to concentrative meditation than to nondirective meditation. As the study discussed shows, both concentrative and nondirective meditative practice have relaxation effects beyond ordinary rest (as measured by DMN activity), though it is more pronounced with nondirective meditation. Subjective experience has very little to tell us about objective measures of relaxation, as discussed by Erik Solberg in his doctoral thesis. On the other hand, it is also by no means obvious that hypnosis is the same as the kind of concentrative practice studied in this experiment. The religious scholar Livia Kohn has argued that all meditation builds on working mechanisms similar to (self-)hypnosis and (self-)suggestion. I don’t think this is correct, and I think the suggestive elements are typically minimized in a nondirective practice, though that also depends on the context and interpretation of the practice. This was a very interesting article! I have been meditating for a good two months now, morning and night. I have focused most of my knowledge about meditation on the feeling and brainwaves it produces and how those can heal on my website; rather than the direct activity. However, I was curious when I read about non directive practice, if that meant that the brainwaves are in fact slower than they would be in the concentrated practice of meditation? 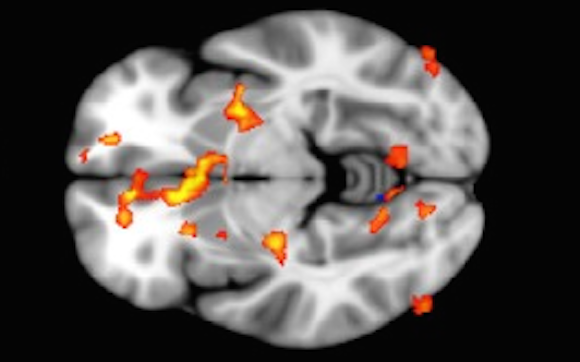 While activating more activity within the DMN, does that further slow down the brainwaves,(typically these are Theta, or very slow Alpha while in this state) causing more vivid “answers” or “images”? There is a good list of all the Nondirective meditation types at nondirective.org, as well as over on the nondirective reddit sub. I like how they have gathered up all of the meditation techniques that “fit” nondirective and put them together and expounded on the elements that make them similar – like the gentleness and innocence that you need, instead of the more goal driven / focus driven techniques out there. At the end of the day, I think there are folks who definitely get along best with mindfulness type meditation, and folks who will do much better with nondirective type meditation, and probably everyone will end up in the same place.